[Bikes] are integrally woven into the lives of most Dutch, and there’s actually more bikes than people in this small country… but really this means that this is a part of the DNA of the individual people, as well as their overall civic culture. Cycling is the default mode of transport for most people, and it’s almost a form of accelerated walking. Almost 95 percent of the country’s residents have at least one bike, Krizek said, and depending on the town, 33 to 50 percent of all trips taken are by pedal. Compare that to Denver, which wants biking and walking to combine for 15 percent of all trips by 2020. 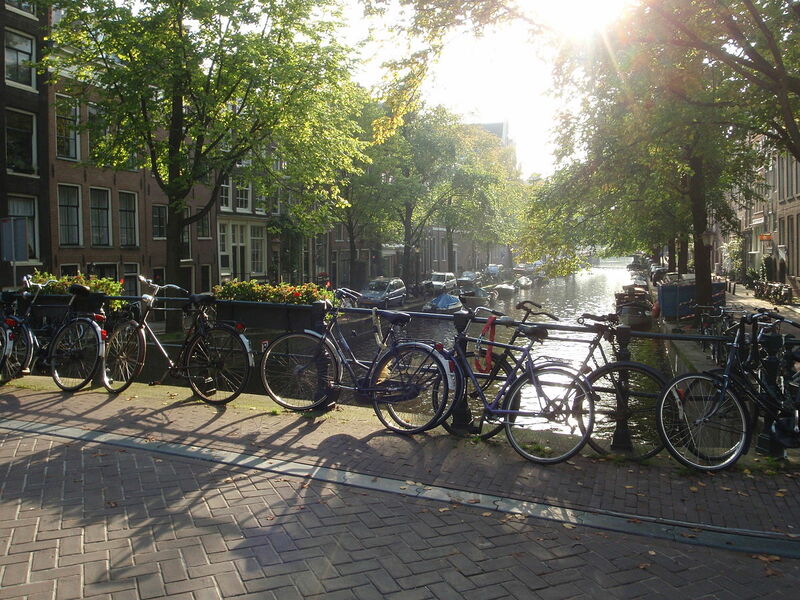 Of course, it’s difficult to measure any American city against the small, flat, European country that’s made bike friendliness a priority for decades. But Krizek says the comparison isn’t irrelevant. There’s no doubt that their success has many layers to it. There’s incentives, there’s community design, there’s the overall social element of it. But in addition, the infrastructure is an important characteristic, so you can’t just export one of these elements without trying to adopt the others as well. Perhaps that’s because cities are beginning to build streets with bike riders in mind, thus normalizing a way of getting around that many see as marginal. Since cars dominate Denver, many people see driving, and the infrastructure necessary to sustain it, as “normal,” making little room — literally — for people who choose other transportation modes. Maybe Krizek’s research will help change that.